Hilton’s President and CEO shares incredible business advice in the latest Thrive Questionnaire. Chris Nasetta: In my job, there’s no such thing as a typical day – especially given how much I travel. That said, regardless of where I am in the world, I wake up at 4:30 or 5:00 a.m. every morning. Before I dive into my day, I spend a few minutes with a cup of tea catching up on the news of the day and focusing on what I need to accomplish. Our business is truly 24/7, so a lot can change overnight! CN: I’ve always been a people person, so it’s no surprise that I went into the hospitality business. Whether it’s connecting with our Team Members and guests on property, catching up with some familiar faces around the office, or spending time at home with my family, I’m energized and inspired by all of the people in my life. CN: I’ve been a huge advocate of William Thorndike’s “The Outsiders” for years. It’s a great case study of how sometimes the companies that seem to be swimming against the current and doing their own thing are actually driving incredible progress that leads to major success in the long term. At the end of the day, the trait that ties all of the leaders in this book together is a laser focus on their priorities. This mentality is one we embrace deeply at Hilton – at every level of the organization – and it’s enabled us to move the needle in ways that would have seemed impossible even a decade ago. By staying laser-focused on a few key priorities, not only are we able to perform better as a business, but we also have more mindshare to dedicate to the things that matter most to us – as individuals and as a team. CN: Like most people, my phone goes almost everywhere with me. Beyond my responsibilities at Hilton, I have a big family – my six daughters are spread all across the U.S. at this point – and we like to stay in touch throughout the day. I respond to every text message or voicemail I get before I go to bed, but then I do put my phone away so I can get some rest. CN: I respond to every email I get, every day, as quickly as possible. Even if it’s just a short response, I never want to be the person slowing things down. CN: If I have extra time in my day, I love to walk around the office and catch up with Team Members who I don’t see all the time. It gives me a chance to reboot and hear directly from our teams about what they’re working on. Sometimes I bring a football with me to toss around while we’re talking, and I’ve even spontaneously delivered snacks to the team. TG: When was the last time you felt burned out and how did you overcome it? CN: I love what I do and all of the people I get to work with around the world, but there are definitely times – usually when I’m coming home from a big, hectic trip – that I need some time to recharge. For me, the best way to bounce back from a stressful period is by completely unplugging, even if just for a few hours on the flight home, and then spending time with my wife and daughters. That’s a quote from one of our General Managers talking about our company’s purpose and the impact we have on people all around the world. Anytime I need inspiration, all I have to do is look to our 380,000 deeply talented and hospitable Team Members – they are the heart of Hilton and who we have to thank for our nearly 100 years of accomplishments. 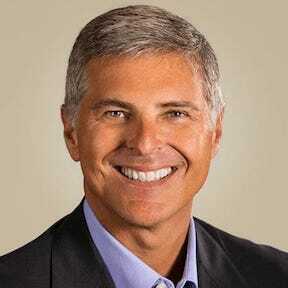 Christopher J. Nassetta is Hilton's President and CEO. He joined the company in 2007. Before joining Host Hotels & Resorts, Inc., Mr. Nassetta co-founded Bailey Capital Corporation in 1991, where he was responsible for the operations of the real estate investment and advisory firm. Prior to founding Bailey Capital Corporation, he spent seven years at The Oliver Carr Company, ultimately serving as Chief Development Officer. In this role, he was responsible for all development and related activities for one of the largest commercial real estate companies in the mid-Atlantic region.